INDIANAPOLIS, Aug. 1, 2016 – USA Gymnastics has selected the sites for 2017’s three Junior Olympic championship events for women’s gymnastics: U.S. Junior Olympic National Championships, Indianapolis, Ind. ; Junior Olympic Level 9 Eastern Championships, Lansing, Mich.; and Junior Olympic Level 9 Western Championships, Boise, Idaho. The Junior Olympics is USA Gymnastics’ age-group, developmental program, and these three events feature the country’s top female gymnasts for Levels 9 and 10. The 2017 U.S. 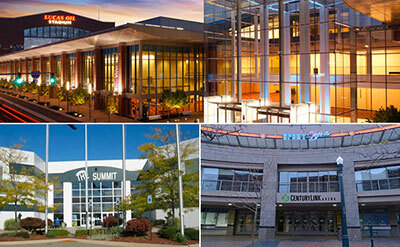 Junior Olympic National Championships will be held at the Indiana Convention Center. Scheduled for May 6-7, the two-day competition is expected to showcase over 675 gymnasts. USA Gymnastics is staging the event in conjunction with Indiana Sports Corp. Indianapolis has served as the headquarters for USA Gymnastics since 1983. The Junior Olympic National Championships is the culmination event for the competitive season. The competition features twelve age divisions (Junior A, Junior B, Junior C, Junior D, Junior E, Junior F, Senior A, Senior B, Senior C, Senior D, Senior E and Senior F), which are determined by birth date. These gymnasts are vying to become Junior Olympic national champions in the all-around, as well as in all four events: vault, uneven bars, balance beam and floor exercise. The competition schedule will be determined closer to the event. USA Gymnastics has eight regions, and the top seven gymnasts from each region’s Regional Championships advance to nationals. The winning regions will also be determined at the conclusion of the competition. The top four all-around athletes in each age division also qualify to the 2017 Junior Olympic National Team and are invited to attend a national training camp at the USA Gymnastics National Team Training Center at the Karolyi Ranch, a U.S. Olympic Training Site, in Huntsville, Texas. Slated for April 28-30, the Eastern and Western Championships are the competitive season’s finale and feature the best gymnasts in the country for Level 9. The 2016 Junior Olympic Level 9 Eastern Championships are headed to the Summit Sports and Ice Complex, and the Junior Olympic Level 9 Western Championships go to the CenturyLink Arena. The Greater Lansing Sports Authority and Gedderts’ Twistars USA Inc. are organizing the Eastern Championships, which feature 16 age divisions that are determined by birthdate. The Eastern Championships include the top gymnasts from USA Gymnastics Regions 5-8. The states that comprise each region are: Region 5 – Illinois, Indiana, Kentucky, Michigan, Ohio; Region 6 – Connecticut, Maine, Massachusetts, New Hampshire, New York, Rhode Island, Vermont; Region 7 – Delaware, Maryland, New Jersey, Pennsylvania, Virginia, West Virginia; and Region 8 – Alabama, Florida, Georgia, Louisiana, Mississippi, North Carolina, South Carolina, Tennessee. The Western Championships, which feature sixteen age divisions determined by birthdate, will be hosted locally by the USA Gymnastics Region 2 Committee. The Level 9 Western Championships showcases the top gymnasts from Regions 1-4. The states that comprise each region are: Region 1 — Arizona, California, Nevada, Utah; Region 2 – Alaska, Hawaii, Idaho, Montana, Oregon, Washington; Region 3 – Arkansas, Colorado, Kansas, New Mexico, Oklahoma, Texas, Wyoming; and Region 4 – Iowa, Minnesota, Missouri, Nebraska, North Dakota, South Dakota, Wisconsin.